Warning: this ain’t for the faint of heart. Losing weight, getting shredded, and the pursuit of dropping body fat can be amongst the most arduous of tasks out there. If you’ve ever done cardio, you know that each and every minute is feels like eternity. 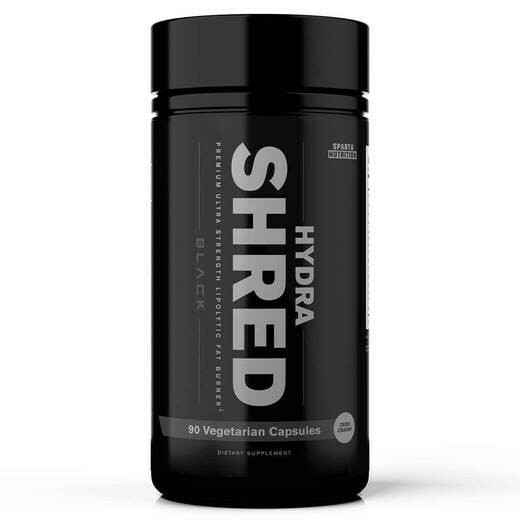 It’s time to capitalize and utilize the most advanced premium ultra strength lipolytic fat burner available: HydraShred. L-Carnitine-L-Tartrate (LCLT) plays a vital role in energy metabolism, specifically in the transportation of fatty acids into mitochondria where they can be burned for energy. Studies suggest that LCLT leads to improved performance, testosterone support, and overall fat metabolism. Acetyl L-Carnitine is the acetylated form of l-carnitine, which is readily utilized in the Krebs Cycle. The acetyl group is used to form acetyl-CoA, the intermediary of energy from amino acids, carbohydrates, and fats, shown to lower triglycerides. Garcinia Cambogia is a highly publicized supplement, suggested to support healthy weight loss. Garcinia Cambogia contains Hydroxycitric Acid (HCA), which can be shown to support weight loss. Vanillin is a phenolic aldehyde that is the primary component of a vanilla bean. What’s a vanilla extract doing in a fat burner? It’s simple, vanillin is a selective agonist of transient receptor potential vanilloid subtype 1 (TRPV1); TRPV1 agonists are known to increase energy metabolism and induce lipolysis. Banaba Leaf is a potent true full spectrum ingredient that stimulates glucose transport into cells and can help maintain healthy blood sugar levels. Studies suggest that Banaba leaf can support a lean and toned body through appetite and sugar control. Last but not least, Cirsium Oligophyllum, a plant indigenous to East Asia, closely related to the thistle family. Studies show that this extract of the plant can help lose subcutaneous fat, which is fat found below the skin – specifically aiming for the hard to reach belly fat.